We knew about Irish leprechauns: nasty little creatures that, in theory, can lead you to a large pot of gold. Needless to say that they're so full of tricks you'll end up with nothing and the leprechauns will have all your money. 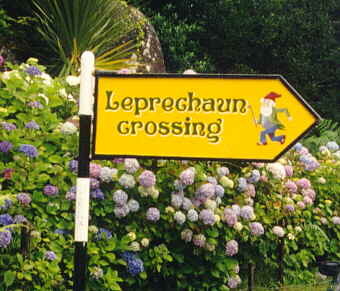 What we didn't know, in some places there are so many leprechauns that they need a leprechaun crossing to help them safely cross the streets. There's a lot of swampy bog in Ireland. We already learned, if you want to keep your feet dry, boots are absolutely essential. It's not only the tourists who know this, the Irish know this as well. 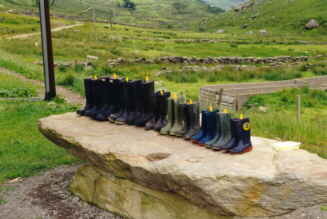 At a farm in Kerry we saw this boot-drying-place. You'll notice large families are quite normal in Ireland. 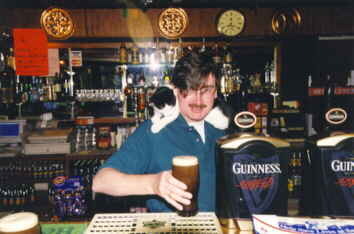 One of the main attractions in the Climbers Inn is the cat Joe, who's very interested in pints of Guinness. 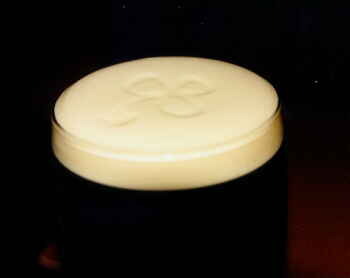 If you're lucky and it's not too busy in the pub, the barman will draw a shamrock in your Guinness. 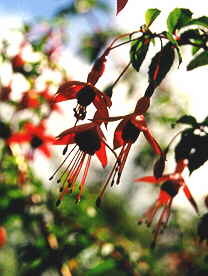 Since they were planted in the 1930's, Fuchsia's have conquered large parts of Ireland. Irish road signs can be very confusing. 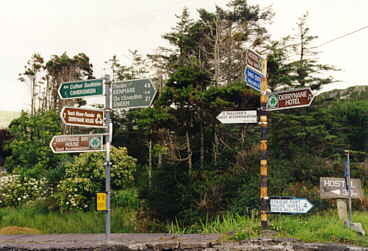 Most of the time, signs to places of interest are brown (except on very crucial points, then they're white so you'll miss them and have to turn back). In a souvenir shop in Dingle we found this postcard with greetings from Ireland. 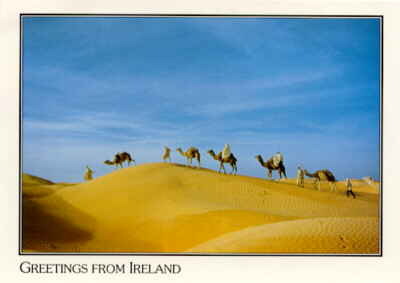 We never knew there were any camels in Ireland, so we asked almost everybody if they knew where in Ireland we could find this place. It looks hot and dry, so after another day of rain we definitely wanted to go here. 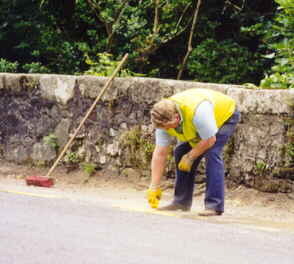 This is the way they paint the road markings in Ireland. A lot of Irish people can afford to own a car. 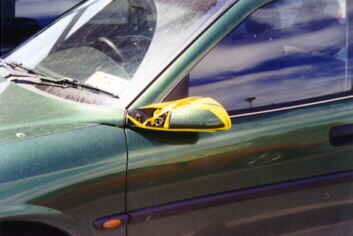 But why can't they afford to fix a broken mirror ?